Had a great fundraising? 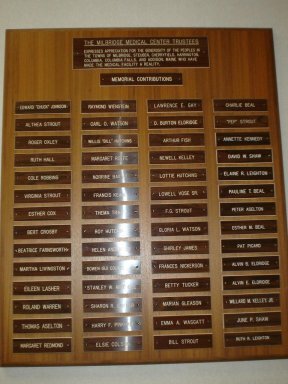 If you want to thank your donors AND gain their support for future projects you should consider a perpetual plaque. Leave extra spaces and you may find that you'll get even more donations long after your fundraising project is finished. 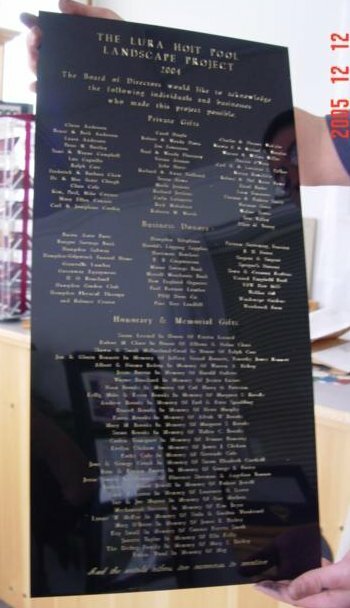 Want a meaningful way to recognize employees or members who've retired or passed on? 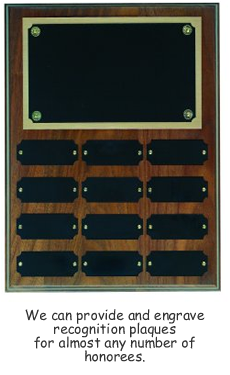 A beautiful plaque shows that you're an organization that really cares. With a plaque like these you build goodwill with all who see it. Seize the opportunity today! The plaque to your right was made by us some 20 years ago. We'll be doing a 'match' for it in the near future. Enduring, lasting beauty - from American Nameplate! 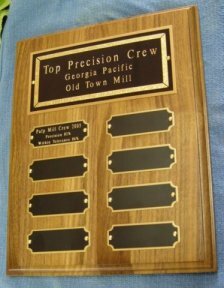 And if a plaque isn't exactly what you're looking for - and you're name list is known, don't forget that we can do beautiful engraved brass for recognition and honor purposes. The piece below is black brass, 12" wide by 20" tall. look to American Nameplate for your every need.